The UK already has a strong digital economy underpinned by an extensive broadband network. But the superfast broadband programme that delivered this is coming to an end. While current digital connectivity is enough for current needs, demand for data is rapidly increasing; superfast broadband may not be sufficient for the future. The Commission’s judgement is that the government should act now to deliver full fibre across the country; in the Commission’s social research, 86 per cent of people agreed that all parts of the UK should have equal access to broadband. Full fibre broadband is the likely next step in digital connectivity. It is more reliable and cheaper to maintain than today’s part copper, part fibre broadband connections. But it will take at least a decade to build nationally. Government needs to make a decision on full fibre now to avoid the risk of the UK being left behind in years to come. 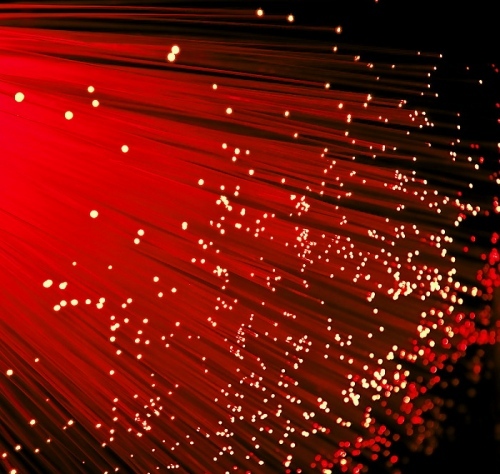 Full fibre will deliver benefits compared to current broadband even if the expected demand growth does not materialise. Enhanced digital connectivity will also facilitate the development of smart infrastructure: infrastructure with digital connections, enabling more efficient management and maintenance. To encourage full fibre rollout, the government should put in place a national broadband plan by the end of 2018. Ofcom should provide certainty to commercial investors and encourage further private sector delivery of full fibre. With this certainty from government and Ofcom, most urban areas are likely to receive full fibre just through the promotion of market competition. However, full fibre will still need to be subsidised in some areas where commercial players are unlikely to deliver it. This should begin with the locations least likely to receive broadband commercially. With these plans in place, nationwide full fibre connectivity should be available no later than 2033. Funnily enough the above sounds more or less identical to the Government’s new targets (here), which aim to achieve 10 million premises passed with “full fibre” (FTTH/P) by the end of 2022, rising to 15 million premises by 2025 and then there’s an aspiration to “deliver a nationwide full-fibre to the premises network” by 2033 (the latter will need masses of public funding and may not hold as government’s change). The 2025 target will probably be achieved with existing commercial investment and support, while the 2033 aspiration is currently very vague and has no solid strategy or funding behind it. This is hardly surprising since the competitive commercial market is only just getting to grips with deploying FTTH/P at a large-scale. Usually government’s like to give the private sector time to work these things out for themselves, before they go around offering big wads of public cash that might risk distorting commercial plans. Suffice to say we’d be surprised if a multi-billion commitment of public funding was made anytime soon, but you never know. In fairness the Government has already begun acting to boost FTTP/H connectivity, not least via new regulation from Ofcom’s Strategic Review (details) and a 5 year business rates holiday on new fibre optic lines, as well as improvements to the Electronic Communications Code (here) and several large funding schemes to support 5G or “full fibre” development (here). The result has been to encourage a lot of alternative network (AltNet) ISPs to significantly grow their plans, while the incumbents are doing the same. For example, Hyperoptic now aims to cover 2 million premises with FTTH/P by 2022 (aspiration for 5 million by 2025), while Vodafone with Cityfibre will reach 1 million by 2021 (aspiration for up to 5 million by 2025), Virgin Media hope to build 2 million, Openreach will do 3 million by 2020 and hopefully 10 million by 2025 etc. (see our ‘Summary of Full Fibre Broadband Plans and Investment‘ for more). But as we’ve said before, anything happening around 2033 is likely to involve a different government and political ambitions or economic realities can easily change. In other words, the only real way to build and ensure a solid strategy that could last up until 2033 is to establish one with cross-party support (easier said than done given the current ideological divisions between parties). All of this naturally comes just before the Government are due to set out their stall on this subject via the Future Telecoms Infrastructure Review, which will form the foundation for everything discussed above. Speaking of political instability, this discussion could soon be a moot point if the current Brexit crisis results in yet another snap General Election during the autumn. Added a comment from Openreach above. Added a comment from Gigaclear below and the full report is now available here. “We welcome the National Infrastructure Commission’s assessment. We fully support its call for a National Broadband Plan to deliver full fibre connections across England, including rural areas, by Spring 2019. At Gigaclear, our mission is to address the rural digital divide by delivering only future proofed full fibre, and we have seen first-hand how transformative this connectivity is for those who live and work in rural areas. They need to specify their forecast speed up/down by 2033 otherwise the report is meaningless as basic FTTP will probably been achieved by then but come in its many limited flavours. Current FTTP installations need to be more future proof with less dependency on wireless. Otherwise yet again we build interim networks that then have to be replaced. This is where we should have been years ago. So far as the local access network goes, the optical fibre cable itself, which is the most costly bit to install, is no longer a barrier to speed and thus you don’t really need to define a specific performance target like before. I don’t follow the wireless remark, what has that got to do with FTTP? Wireless: Some areas of the UK are becoming dependant on wireless solutions. These will need to be be replaced long term. So we should be clear when public funding should insist on FTTP instead. FTTP: From my understanding the main technology currently preferred (commercially viable) is GPON and it appears certain Altnets are using alternative solutions with powered cabinets (means equipment?) and other solutions to distribute. GPON is finite (timeslots) and although in the future faster OLT and OTNs can be installed it still means the network optic design will be set to current requirements such as 64:1 or 32:1. It is also not the individual “line” but the actual bandwidth experienced. Current FTTP probably has plenty of capacity but that may not be the case as data demand continues to increase over the decades. My point is that it would be helpful if instead of using generic terms such as FTTP that the technical targets of speed up/down, latency, error rate etc are clearly stated so that where possible network designers are considering whether to future proof or limit their design knowing its practical life. We don’t even know the quality of the fibre they are using (performance/life). Fair point. I believe Openreach are using XGPON rather than GPON in many of their latest FTTP deployments (500Mbps/1Gbps services vs 330Mbps). Of course that side of the network is easier to upgrade in the future, once the cable is in the ground. Lifespan of the cable itself is an interesting question. I’ve always been told that operators work to a design life of around 25 years, but that doesn’t mean to say the cable has to be replaced at that point. Heck a few operators expect it to last for around 100 years. Possibly in the laboratory. Much will depend on the specification but possible more importantly the bending and stresses during installation. Each section of the network may be different. But subsequent digging will probably the biggest factor. So if they want everyone on fttp who gets to build it or dont they care just as long as someone does. I can see a future where someone like hyperoptic come and fibre a street but only they sell on that fibre so all the providers who also sell can’t get those customers and if you change providers you then have to have another strand and another converter box and another bbu fitted. Surely for this to work properly all providers must be made open to all sellers or you will completely kill competition in areas. Or am i completly wrong in this thinking and this “monopoly provider” is now the preferred goal? Up to Ofcom. Too many investors now for nationalisation. BT is deemed currently as having SMP (based on copper and current regulatory legislation). This SMP may change for BT or be applied to their competitors. Certainly for the next few years we will have geographical monopolies for Ultrafast/Giga. This NIC body is yet another bunch of bureaucrats (being paid by us) telling us what we knew back in the 80s that we need to use fibre and not copper for speed/distance. I promise you all that the UK will not reach 50% FTTP coverage by 2025 and 100% FTTP coverage by 2033! Write that somewhere in your diaries! If the UK can jump from 4% to 10-15% in the next 7 years that will be amazing! As I said so many times I can’t even make an agreement with my building authority just to give Hyperoptic the permission to install Fibre Optic Broadband for over 3 years despite getting all of the residents to register their interest and you expect 50% FTTP coverage by 2025 and 100% by 2033? UK sits at 4% FTTP but Philip Hammond promises 50% coverage by 2025 and 100% coverage by 2033 for Full Fibre Broadband. Yet my area last 5+ years hasn’t even been upgraded to FTTC. Now on a plan for FTTP by BT Openreach which will have the same wayleave issue universally across the entire country. It’s easy to make these promises. Because Philip Hammond and the Tories know they’ll probably lose the next general election because of the failure of Brexit not happening and they’ll most probably not even make a single trade deal agreement. So when Labour wins Hammond and the Tories will then be able to put all the blame on the Labour party for not achieving 100% FTTP by 2033! This is all a political manipulation. Just like Brexit and the 350 million pounds that would be funded for the NHS each week. That lie in itself is enough to change the result of the referendum making it inaccurate. But this is how the Tories managed to win the last election through lies. Don’t fall for the same trap because it’s not going to happen!